Most of the time it can seem that women face the most discrimination – and professionally-speaking, this is indeed the case. There are, however, a number of careers where males face discrimination. Nursing is one of those careers. One of the challenges in overcoming male discrimination in nursing relates primarily to statistics. The vast majority of nurses are women. While the numbers range from one country to another, they generally go from approximately five percent to ten percent of nurses being men. In positive news though, more men are now entering university training programmes to prepare for a health career in nursing. It is thought that this is due, in part, to the demand for nurses being exceptionally high right now. A nursing career also tends to come with significant stability, good wages and benefits. Oftentimes, one of the first discriminatory questions men face is to be questioned why they became a nurse in the first place. This question is based, in large part, on the fact that women significantly dominate the nursing workforce. This strong trend has meant that nursing is seen as a woman’s job, not a man’s job. Even popular culture tends to show women as nurses. Rarely do you see a man playing the role of a nurse in a movie. In reality, men usually choose nursing for most of the same reasons that women choose nursing. They may want to make a difference in the health and well-being of many people. Traits such as being caring and empathic are traditionally associated with women. 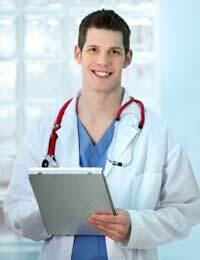 Men, however, show these same traits and may also gravitate toward a nursing career as a result of their personal qualities. Another issue that results in discrimination against male nurses is that women can be mistrusting of a male nurse. Some will refuse to receive any nursing care from a male nurse. It is a common complaint from male nurses that they encounter this kind of discrimination in the workplace. Part of this mistrust is likely due to the fact that we just are not used to seeing many male nurses. When a person comes across something ‘different’, it can be challenging to accept it and feel comfortable with it as well. As a result of discrimination against male nurses, some choose to work in hospitals rather than private care settings. In a hospital environment and in particular, emergency wards, patients are in immediate need of medical attention and may accept care from a male nurse where they otherwise would refuse it. Male nurses can also face discrimination from other healthcare workers. Particularly in a workplace full of female nurses, they may find they are not given the same respect that female nurses receive in the workplace. Discrimination can also come in other forms such as being excluded from social situations such as going for drinks after work or out for lunch in a group. Women may stay within a group but exclude the male nurses who they believe don’t really fit into the workplace. If you feel you are experiencing discrimination at work, it’s important to speak to a supervisor. Where it involves a colleague, you should try speaking to that person first. Sometimes, letting your colleague know is the first step. He or she may not have recognised that what they were saying amounted to discrimination. Many people will be surprised to realise just how engrained this kind of behaviour is, and once alerted, will take steps to change it. If you continue to have problems, keep track of the dates and times comments occur and then speak to a supervisor. Everyone deserves a workplace free from discrimination and stereotyping. While it is usually women who suffer discrimination in the workplace, men in nursing are the ones typically facing discrimination. Those in racial minorities report even higher rates of discrimination. The more men who continue to train to become nurses and the more everyone speaks out against discrimination, the more effective all nurses can be in helping patients.